Here comes the very useful letter template for who is going to appoint a temporary guardian for their children’s healthcare. This is the official agreement letter that they must be in need of that time. This Microsoft Word letter template comprises all those details that you want to be the part of this letter template. So you can easily get access to this very beneficial template and can use it for your purpose. So what you are searching for? 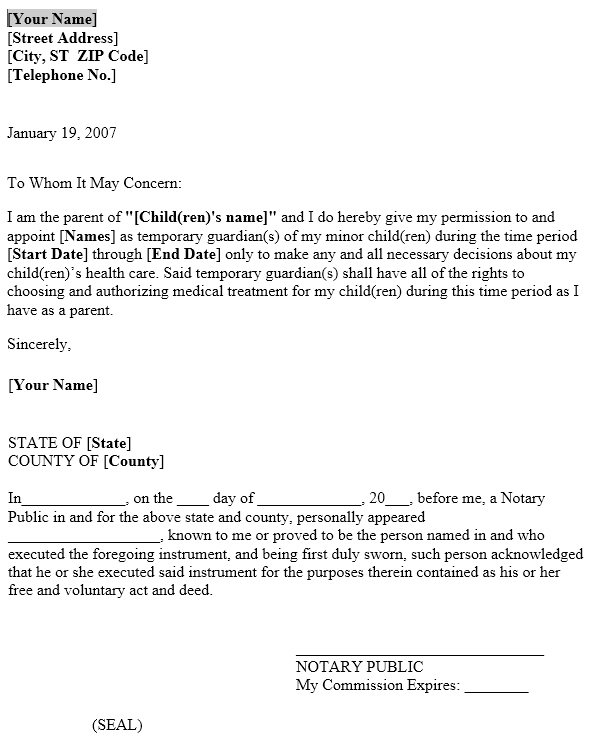 Go ahead and use this very accurate and apt Power of attorney letter for child care letter template, save your time.